If you manage a business that depends on field services professionals, you’ve no doubt utilized or at least been exposed to a number of field services software solutions that claim to “do it all”. Don’t get me wrong. There are more software solutions on the market today than I care to count and most have a lot to offer…but do it all? That, I’ve yet to see. After all, we’re talking about a broad swath of activities. Our clients tend to be larger organizations that depend on field services, but are not entirely focused on this one aspect of the business. Sopris works with “specialty contractors“ that provide installation and facilities management services. We work with “energy and utilities“ providers that maintain plants as well as large fleets of vehicles, parts and more. We work with “service providers“ that are required to manage regulatory requirements and extremely complex contracting agreements. The list of field services software features necessary to meet any given client’s needs can be extensive. Not one of these companies ONLY provides field services, but all are dependent on it to be successful. Our customers not only need a field services software solution, but are looking for a fully integrated ERP system that provides best practices out of the box, and is still flexible enough to cater to unique needs. More often than not, that includes relationships…services…contracts…inventory…talent…and many more requirements before even getting to finance and accounting. That’s what we like about Microsoft Dynamics 365. 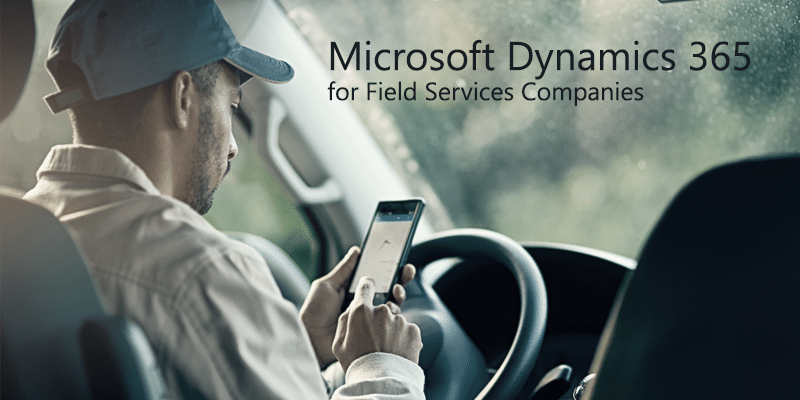 Microsoft Dynamics 365 field services software (like all others) doesn’t do it all. At least not without some effort. It does provide a familiar, intuitive interface across every aspect of ERP, Sales, Marketing, Projects and Talent Management. And, it can be purchased and deployed entirely “as a service” for those that prefer to let the Azure Cloud do the heavy lifting. Or, completely on-premise for those who prefer to keep things between their own walls. If you are interested in learning more about Sopris and Microsoft Dynamics 365 for Field Service, I’m always up for a chat. As one of the first North American partners to work with this platform, we’ve learned what it takes to design and deploy solutions that meet the unique challenges of field services and project-centric companies. With a focus on developing enterprise resource planning (ERP) solutions, Matthew Pfohl has more than 20 years of business consulting and software experience for Fortune 500 and startup companies. Prior to Sopris Systems, he spent several years in executive positions—raising capital and managing startup companies ranging from real estate to software and consulting. Matthew also helped develop ERP practices for American Express and ePartners. He began his career in sales and marketing in Europe and has held several top executive positions in major companies in the US. Matthew earned a Bachelor in Political Science at Rollins College.